But recent research by the University of Melbourne led by Dr Bronwyn Hradsky has found that when control programs aren’t strategic, fox numbers can quickly recover. The research has been published in the Journal of Applied Ecology. “Foxes can breed very rapidly and travel long distances, so small-scale or one-off baiting programs may kill individual foxes but have little effect on overall fox density,” according to Dr Hradsky. “The point of controlling foxes for conservation is not to kill foxes but to protect our native wildlife, so fox control programs need to be as strategic, effective and efficient as possible. “To achieve this, land managers need tools to help them understand how fox populations grow and behave and how they can best manage these populations. “We’ve collaborated with Parks Victoria, the Victorian Government’s Department of Environment, Land, Water and Planning and the Threatened Species Recovery Hub of the National Environmental Science Program to create a computer-based tool to address this. “Our decision-support tool, FoxNet, simulates fox populations across realistic landscapes, with different habitat types. Land managers can use it to test different bait station layouts, frequencies and timings. FoxNet is now being used by government and non-government agencies to evaluate and plan fox management programs for conservation across Victoria. 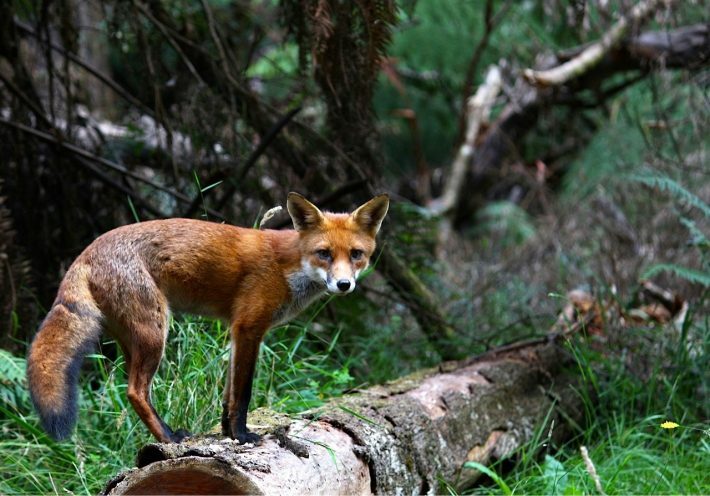 “Protecting native wildlife from foxes in places like the Great Otway National Park is a major priority for Parks Victoria,” said Dr John Wright, the Manager of Terrestrial Ecosystem Science at Parks Victoria. “This research collaboration will help us make sure our predator control efforts are designed to be put in the right places at the right times,” Dr Wright said. The Conservation Ecology Centre are using FoxNet to help develop best-practice cross tenure fox control in the Otway Ranges. They have used the software to design an expansion of the Otway Ark, a 100,000-ha landscape-scale fox control program being delivered by Parks Victoria. The expansion will increase the size of the Ark by 20% across strategically selected public, private and state forest, helping protect threatened species such as long-nosed potoroos, southern brown bandicoots and dusky antechinus. The Department of Environment, Land, Water and Planning through the Arthur Rylah Institute for Environmental Research are using FoxNet to analyse the efficacy of state-funded fox control programs. State funded fox control programs exist at different spatial and temporal scales across Victoria, and this analysis aims to provide insight into how these programs reduce fox density and how future fox control programs may be structured to ensure the greatest conservation outcome from State investment.